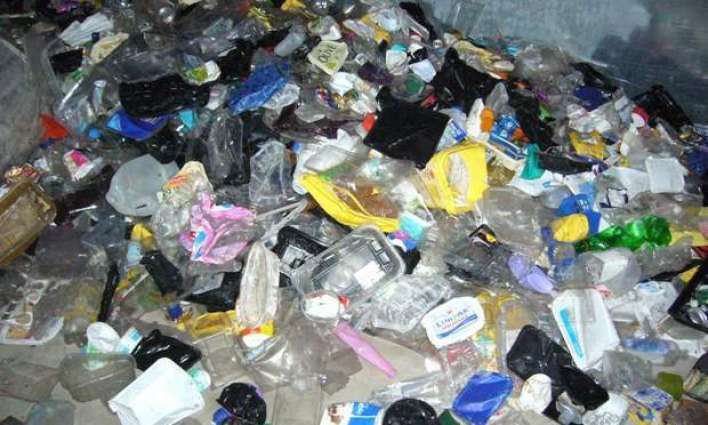 Pakistan is among the biggest contributors to the 8 million tons of plastic waste that is dumped into the world's oceans every year, says a United Nations Report released on World Environment Day. This year's theme is 'beat plastic pollution'. While disposable plastic bags, bottles and straws are used for a brief time and then thrown away, it takes hundreds of years to decompose them. Fortunately, a Pakistani scientist has discovered a plastic eating microbe to accelerate this degradation process. While it is too early to measure its impact, it could likely prove to be major savior of the planet from growing plastic pollution. A recent study by the Helmholtz Centre for Environmental Research based in Leipzig, Germany says that 90% of plastic flowing into oceans can be traced to 10 rivers. The Indus ranks second on the list, according to media reports. One of Asia's largest rivers, it flows through parts of India and Pakistan into the Arabian Sea, supporting millions of people. While much plastic enters rivers because of a lack of waste infrastructure, sewage systems contribute too. China's Yangtze River tops the world's ten rivers dumping the most plastic waste into the oceans. It is followed by Indus, Yellow, Hai, Nile, The Ganges, Pearl, Amor/Heilong, Niger and Mekong rivers. Except for Nile and Niger rivers, the rest of the top plastic waste contributors are all in Asia. Like other developing nations, the plastic waste explosion in Pakistan can be traced to the lack of infrastructure to deal with the consumption boom of branded and package foods, beverages and other products known as fast moving consumer goods (FMCG). "Developing regions simply don't have the tax revenue for supporting waste management–these communities struggle to provide access to water,” according to Andrew Almack, CEO of Plastics for Change, as quoted by the Globe and Mail. “We need to focus on creating markets for the waste and ultimately creating dignified employment to reduce plastic pollution." "Halving the plastic input from the catchment areas of these rivers would already be a major success," says Christian Schmidt, a hydrogeologist at the Helmholtz Centre for Environmental Research. Schmidt was lead author on the study that identified the 10 rivers as the main polluters. Dr. Sehroon Khan, a Pakistani scientist, has discovered plastic eating bacteria in an Islamabad landfill which accelerate decomposition of plastics. His team particularly focused on breaking down polyurethane (PU) which is used to manufacture a wide variety of everyday objects and components, including tires, condoms, hoses, supermarket trolleys, car suspension bushings, etc. Dr. Khan who led the study by the World Agroforestry Centre and Kunming Institute of Biology explained the start of the study as follows: “We decided to take samples from a rubbish dump in Islamabad, Pakistan, to see if anything was feeding on the plastic in the same way that other organisms feed on dead plant or animal matter”. It is too early to gauge the impact of Dr. Khan's discovery. However, it does offer hope that the solutions to the growing menace of plastic pollution are within reach. The Indus River flowing through Pakistan has become the second largest contributor to plastic pollution in the oceans. FMCG consumption boom has exacerbated this problem. Pakistan needs to be build the necessary infrastructure to collect and recycle this plastic waste. Fortunately, a Pakistani scientist has discovered a plastic eating microbe to accelerate this degradation process. While it is too early to measure its impact, it could likely prove to be major savior of the planet from growing plastic pollution.